Mr Hiroyuki, Ms Chieko, congratulation for your marriage. 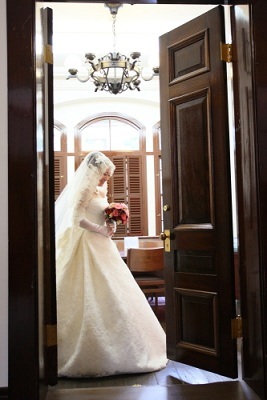 They have held their wedding ceremony at Byron Stone Clarke Memorial Hall of Doshisha University on 2nd of October. Inside the chapel, the wonderful sound of pipe organ which has been adopted from this October made the wedding ceremony more movable and solemn atmosphere. 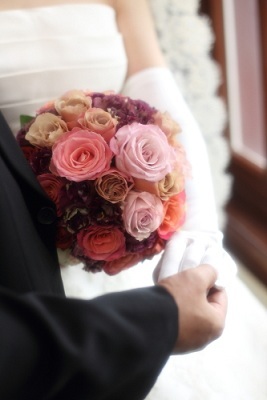 Now, the bouquet which bride, Ms Chieko, held it on the day, are going to be made into pressed flower. I think that whenever you see the pressed flower, you could feel happiness everytime. May your happiness last forever.